What is Lana Del Rey Waiting For? Last night (20 August), enigmatic singer and queen of the wistful bop Lana Del Rey announced her album pre-order and tracklisting for her fourth album Honeymoon, as well as giving away the melancholic orchestral song "Terrence Loves You". Now, we know that Lana is all about keeping things low key these days, what with the singer revealing her album release date and the tracklisting via Instagram with literally no fanfare whats so ever. It's one way of going about it, and tbh it's totally working as we're losing our minds at every announcement. However, now that the album has gone up for pre-order the full artwork is available and it's, well, rather confusing. 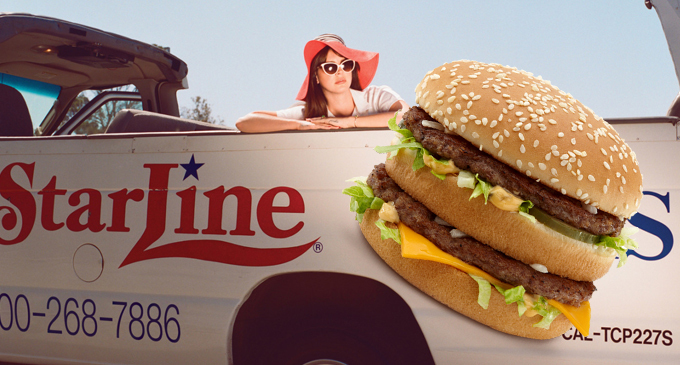 Why is Lana leaning on a car? 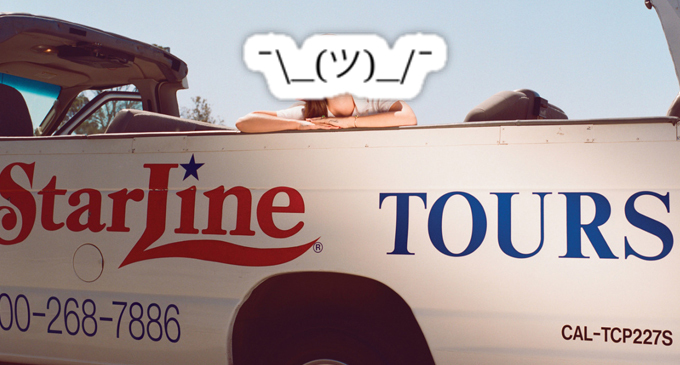 What is the "starline tours"? Why is the font so diabolical? And what is Lana waiting for? 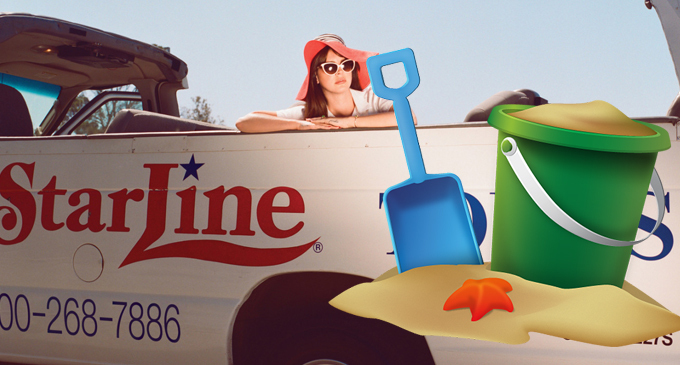 What exactly is Lana Del Rey waiting for? 1) To get high by the beach? 2) For her McDonalds order? 3) To pick up her red party dress from the dry cleaners? 4) For James Franco to finish using the bathroom? 5) For the bikers from the "Ride" video to pick her up so they can go and rage in an arcade? 6) For the 'Lana dancing everywhere' meme to finally die? 8) For Rihanna/Kanye/Frank Ocean's album to drop? 9) For the emotional strain of the feeling of summertime sadness to end? 10) At this stage, who bloody cares?